Home / Military Discounts / Military Discounts – Discounts on Retail, Shopping, Travel, and More! Military Discounts – Discounts on Retail, Shopping, Travel, and More! Military members make daily sacrifices to secure the freedom that many of us take for granted. Sometimes a simple “thank you” doesn’t seem like enough to properly thank all military members for their service on our behalf. Perhaps this is why thousands of stores around the nation offer military discounts to active service members, retirees, veterans, and in some cases, their family members. We have done our best to verify each offer on this list of military discounts. Please help share this list with other military members and veterans who may be able to use these discounts. You can share them via Facebook, Twitter, E-mail, or word of mouth. Most military discounts aren’t publicized – it never hurts to ask. Read these tips on how to get a military discount. 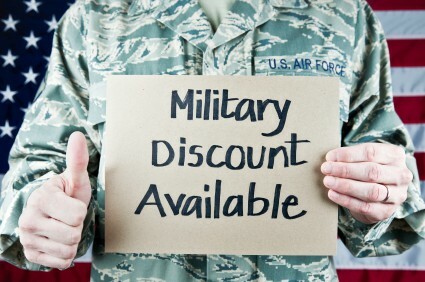 Most military discounts are only available to current military members. Some military discounts are available to all veterans, but in general, most discounts are for actively serving military members (some military discounts are extended to all veterans around major military holidays (Memorial Day, 4th of July or Veteran’s Day). Valid ID usually required. Most military discounts only apply if you have a valid ID – usually a current Military ID Card or a retiree card. Other forms of ID may be acceptable. Commonly used ID cards and proof of military service include: VA health care card, VA issued ID Card, state drivers license with a veterans designation, a Veterans Organization Card (e.g., DAV, American Legion, VFW, etc. ), DD214, discharge paperwork, or other form of identification may work for some military discounts, particularly those around the major military holidays (Memorial Day, 4th of July or Veteran’s Day). Many military discounts vary by location. Many franchises leave discounts at the discretion of the owner. Military discounts are not always the best offer. 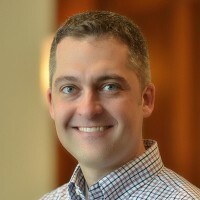 You may be able to find better deals by shopping around (airlines, hotels, and travel are good examples of times when shopping around may lead to bigger savings). Many hotel chains will match max per diem rates for your area. Always ask. Military discounts are a blessing, not a right. Discounts are offered out of kindness and respect for your service. Please don’t take issue if you don’t receive a discount. For veterans of Iraq or Afghanistan, please check out IAVA. Members there are offered vouchers to many retail stores, such as JC Penney. Additions or suggestions? Please contact us if you know of additional stores which offer military discounts. Please send a link to the store or discount so that we may share it with everyone. If you are a company representative, please send an e-mail from your company e-mail address so we can verify the offer. Please indicate if the military discount is an ongoing offer, or for a special event such as Memorial Day or Veteran’s Day (see our list of Veteran’s Day Discounts for specific offers). Hair Cuts: Many barbershops and salons offer military discounts. Great Clips – everyday discount for military and first responders; free haircut for military members and veterans on Veterans Day. Sports Clips – free haircut for military members and veterans on Veterans Day. BJ’s Wholesale Club – discount for new members. General Motors Military Discount Program. Home Depot 10% Military Discount. Sam’s Club offers a membership discount for military members. Traveling can be expensive. Thankfully there are a few good ways to save money. Many companies and locations offer military discounts. We have an in-depth article that discusses how and where military members and veterans can find travel discounts. Where to find Military & Veteran Travel Discounts. Tips on how to save money on your travels. You can also opt to fly Space-A travel, in which you fly on a space available basis on a military aircraft. There are certain rules surrounding Space-A travel, including eligibility, locations, and more. Hale Koa Resort – Oahu, Hawaii. The Hale Koa is a military-only resort located on Waikiki Beach in Honolulu, HI. Shades of Green Resort at Disney – Military only resort located at Disney World, in Orlando, FL. Armed Forces Vacation Club discounts. Discounted resort stays at locations around the world. Red Roof Inns: Red Roof Inns offers several ways to save. 10% discounts for military, family members, and government employees under certain circumstances. Save up to 20% Off year-round with Veterans Advantage membership. Learn More at the Red Roof Inn Military Page. Other Hotel Discounts: Many hotel chains will match max per diem rates for your area. Always ask. Disney World Military Discounts. Get discounted park hopper passes to Disney World. Please note that many of these restaurants may be franchises, and these offers may not be available at all locations. When in doubt, please ask politely! Also, please note that some of these restaurants may only offer military discounts at certain times. For example, many of them offer a free meal on Veterans Day or Memorial Day, but may not offer a discount at other times of the year. Call ahead to verify, or ask at the restaurant. Chuck E. Cheese’s – Year-round discount, plus a free meal on Veterans Day. Noodles & Co. – 15% discount every day for first responders, active military, and military veterans with ID. There are many military financial institutions and companies that offer discounts on financial products and services. Here is a list of our top-rated military banks and credit unions. Check with these companies if you are searching for a new bank or other financial product. Military Members File Taxes for Free! Free Tax Preparation for Military Members. A little free money never hurt anyone! Try some of these discounts and freebies for a little extra spending money! Up to $300 from Chase Bank. $10 Ebates Bonus (Ebates Review). Bank Bonuses – earn several hundred dollars for opening a new bank account. Two of the most valuable military and veterans benefits are the GI Bill and the VA Loan. Many companies offer military discounts on education or VA Loans. You’ve earned your education benefits so use them and increase your earning power! A VA Loan is one of the best ways for a military veteran to afford a house. Be sure to get the right information before applying for your VA Loan! VA Loan Rates for Purchases and Refinancing. VA Loans may have lower interest rates than conventional mortgages. Use the tool on our site to compare interest rates from several different lenders. Find the best VA Loan Companies to compare rates. Be sure to check back often! I will try to make new listings as new deals become available. Be sure to spread the word. Your family members and squadron members will thank you! What a great idea for a post! I know that Abercrombie & Fitch offer between 10 and 15% off all items, they say its at the managers discretion but I have never known anyone to have any issues. I really hate seeing you making a big deal out of Home Depot’s military discount when it is the worst of all the retail store discounts available. To compare Home depot VS Lowes, and this I personally have verified and have receipts of over $3000.00 from Lowes. Lowes gives 10% Military Discount on 100% of ALL retail purchases, including all sale, discounted, discontinued, delivery charges. I called Home Depot Home Home Office after traveling 63 miles to buy a dishwasher for my wife to be told the “Military Discount” only applied to “Non Sale” items. If I had a problem with their policy call the home office. Lowe’s gives 10% discount every day. They don’t wait until Veterans or Memorial Day. I don’t recommend Expedia. You might end up paying double. They will take your money, make your reservation, then not pay for it. Good luck getting your refund, even if you bought their insurance! I agree about Home Depot. They also don’t give the discount for Building Materials like lumber. What else are you supposed to buy at Home Depot a coffee pot? Lowes is better. I go to several different locations and never have any problems with discountsome on everything. It sounds like the problem is with the manager or regional manager. Old Navy gives a 10% discount to Military. One day I ask if that extends to vets and they said sure. So now I show my VAMC card and get the discount. Buckle gives a 10% online discount for Veterans and Active Duty! TransferMyCar.com offers significant military discounts on nationwide auto transport and car shipping. Visit their website 24/7 for a free, no obligation auto transport quote. Forever Metals offers a 20% discount on all tungsten rings, wedding bands and custom ring order using the code tungsten20 at checkout. Tungsten is extremely popular with Military professionals for the durability and low scratch risk. Due to Home Depots new discount policy vets may not get the discount anymore. What they have done is this. Any item they have identified as a commerical item will not qualify for military discounts. From my experiance in the stores lately almost all items are considered commerical. I am a retired supervisor from Home Depot and Vet, however my trade will go to Lowes. I just made a purchase at Lowe’s and was told they only give veterans discount on Memorial day, Independence day and Veterans day. They also wouldn’t accept my valid PA drivers license with the veterans designation. I don’t have a VA card, I don’t need one. That is the only ID they said they could accept. Sad. The comments regarding Home Depot’s problems might have been resolved now. I shop at Home Depot and Lowe’s. I did not purchase anything from either store in the past year (2015) that was not discounted. I must admit that I purchased some things, and completely forgot to ask for the discount. If so, you can get it if you go back within 24 hours. Sometimes, it’s the management that is unaware of a corporation’s policy. Just check with the store manager and see. I always get my 10% discount when I purchase at Home Depot, just show your VA ID card and that’s it. Thanks to vets and military for your service–we don’t take you for granted! Michaels gives a 10% discount to disabled veterans all year! Where can my husband get the veterans card? First of all, please thank my fellow vet for his service. Some states offer veteran cards, which he can get through his Department of Motor Vehicles. Another means is through Veterans Affairs Healthcare. Got to the VA and get a new card. There is also a program called Choice; where if you live more than 25 miles away from a VA hospital or CBOC, or live in a rural area; you can choose a local doctor in your area to be seen by. Instead of waiting for months for an appointment and driving for hours to be seen for ten mins by a VA doctor. All Vets should have gotten their choice card in the mail about a year and a half ago today 12/23/17. Use it befoe it goes away. I’ve heard talk about the program being cut sometime in 2017-2018. The only drawback I’ve seen so far is that you have to get authorization before using the program and not all doctors are participating in the program because the VA charges are fixed to be affordable. I was told that it was 50 miles. Has it changed? Thanks to vets and military for your service. Totally Kids fun furniture & toys offers a discount to active duty military and veterans.